Washington Park began as 40 acres of land in 1871 and remains one of Portland's oldest parks. The land was designated as City Park and was mostly thick forests with roaming cougars and very little paths or roadways. Finally, in the mid-1880's, a former sailor was hired as the park first keeper and transformed the park into an accessible and beautifully landscaped attraction. Within five years there were lawns, gardens, a zoo and cable cars for easy transportation around the park. City Park was changed to Washington Park in 1909, a few years after one of the Olmsted Brothers, owners of a leading landscape architecture firm suggested several major overhauls of the park including pedestrian pathways, changing where the entrance was located, formal gardens and more roads. IN 1922 Washington Park expanded by 160 acres when the City of Portland acquired the Multnomah County Poor Farm. The land became the Hoyt Arboretum, Oregon Zoo, World Forestry Center, and the Portland Children's Museum. Washington Park is a central location for tourists or locals who want to visit several attractions at once or hike over 15 miles of trails through the timber. There is also a 40-mile loop that connects Washington Park to other area of Portland over the span of 410 acres. Explore Washing Park is a local group that is dedicated to the helping visitors make the most out of their time in the park. They help keep pathways clean, give access to information, and help visitors get around the park. They operate a free shuttle from the parking lot to the park with stops at the various attractions. Hoyt Arboretum is a living museum of trees and one of the main attractions of Washington Park. Established in 1928, Hoyt Arboretum exhibits many different trees and plants from all over the world. The arboretum is free to the public and contains 189 acres of Washington park land that is accessible from over 12 miles of trails. The collection of trees features over 2,000 species. Many of the specimens come from endangered species, so Hoyt Arboretum plays a vital role in the education and conservation of the trees. Scientists use the land as a living laboratory where they can study and collects samples that aid in global research efforts. International Rose Test Garden is another free attraction at Washington Park. Roses have always had a home in Portland, all the way back to the 1900 when the streets were lined with Madame Caroline Testout rose bushes. The International Rose Teste Garden first came about during World War I when rose enthusiast feared that many unique plants would be lost forever in the bombings happening in England. 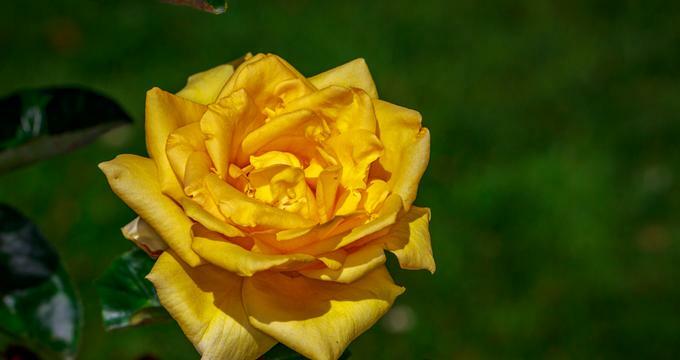 City officials decided to start the Rose Test Garden to be a sanctuary and soon, plants were being send over from Europe. The International Rose Garden is divided up into three separate gardens—Royal Rosarian Garden, Miniature Rose Garden, and Shakespeare Garden. The Royal Rosarian Garden grows all the namesakes of prior prime ministers of the Rosarian Gardens who also serve as ambassadors for The City of Portland. The Shakespeare Garden was relocated to Washington Park from Crystal Springs Lake in 1945. This garden is unique because it harbors herbs, plants, and flowers that were specifically mentioned in the playwrights works, but also roses that are named after characters in the plays. The Miniature Rose Garden is a test program for the American Rose Society. There is also a renowned fountain in the International Rose Test Garden. The Frank Beach Memorial Fountain was gifted to the garden in 1975 and sits in the center of the upper level. The artwork was originally named Water Sculpture and built by a local artist. Oregon Zoo is by far the most visited attraction in Washington Park with over 1.5 million visitors every year. The zoo sits on 64 acres of Washington Park and is home to almost 2,000 different animals representing 232 species of birds, mammals, fish and reptiles. The zoo is subdivided into 5 different areas that represent different geographical habitats around the world—Great Northwest, Fragile Forests, Pacific Shores, Asia, and Africa. Within these 5 areas are 23 exhibits that showcase animals native to that region. The Oregon Zoo is a leader in conservation efforts and are part of 63 different species survial plans. There are 9 threatened species and 19 endangered species that live at this zoo. The zoo also contains botanical gardens where threatened exotic plant species are researched and grown. Portland's Children Museum is another very popular attraction for families with young children. This museum was originally designed in 1945 to be a place that would serve the economically challenged families in Portland as well as children with disabilities. There are still programs for serving these communities today, but the museum has expanded since 1975 to be a place to learn, grow and explore for all children and families. The museum was moved to Washington Park in 2001 and receives over 300,000 visitors every year. The children's museum has many unique exhibits such as the Tree House, Vroom Room, Zany Maze for older kids, Twilight Trail, Pet Hospital and Outdoor Adventure Center just to name a few. Birthday Parties, Field Trips and Home School Groups are frequently hosted here. Portland Japanese Garden is a traditional style Japanese Garden comprised of five smaller gardens—The Flat Garden, Sand and Stone Garden, Tea Garden, Strolling Pond Garden and Natural Garden. This garden was built to honor Portland's Sister City Sapporo, Japan. There is a waterfall, tea house and lovely view of the mountains from this area of Washington Park. The land is leased from the City of Portland and sits next to the International Rose Test Garden. These two attractions are usually visited simultaneously by horticulturalists from all over the world. World Forestry Center was founded in 1966 and is a nonprofit that aims to educate people on forestry and conservation. The center frequently hosts many forestry professionals and scientists for the purposes of research and networking. The Discovery Museum was open in the 1970's and serves as a place for children and educators to learn about sustainable forestry and conservation. There are also several year-round, hands on classes for students interested in learning more about environmental science and forestry. Vietnam Veterans Memorial was erected in 1987 by a group of Veterans in Portland. Inspired by the memorial in Washington D.C., the smooth black granite wall lists the names of all those who died in Vietnam that were natives of Oregon. This memorial is located in Hoyt Arboretum. Oregon Holocaust Memorial is a very vivid yet somber artistic memorial. A stone bench sits in the center of a cobblestone circle. Scattered around the bench are bronze shoes, hats, luggage, purses and other belonging that were left behind when the Jewish Community was rounded up and sent to concentration camps. A pathway lined with bars to resemble railroads, leads to a paneled wall that offers education on the Holocaust as well as quotes from survivors. The back of the wall has the names of people who died in the camps that have relatives in the Oregon area. A vault is at the very end of the memorial and contains soil and ash from the killing grounds of 6 different concentration camps including the most famous---Auschwitz. Sculptures are located throughout Washington Park in memoriam to certain people such as Lewis and Clarke, Sacajawea, and The Coming of the White Man Statue that is dedicated to Chief Multnomah. There are also decorative fountains by many renowned sculptors located throughout the park. Not only does Washington Park have some of the most popular attractions in Portland, there is also plenty of other activities to do within the massive city park. There is an outdoor archery range surrounded by forestry, a large Children's playground, many picnic tables and covered shelters, soccer fields and tennis courts for visitors to enjoy—all free to the public. There are a few numbered parking lots available near the attractions of the parks. Each of the lots is paid parking and have hourly and daily fees that vary with the season. There is overflow parking at the transit center. If you use the transit center to get to the park, the drop off at MAX station is also where the free shuttle starts. The shuttle arrives every 15 minutes and the loop around the park, stopping at all major attractions can take up to 30 minutes. The Oregon Zoo, Portland's Children Museum, and World Forestry Center are all directly outside of the MAX center and can be walked to in less than a minute. The Portland Japanese Garden and International Rose Test Garden are the further away at a 45-minute walk. There are trails throughout the park for visitors who enjoy walking between attractions and during non-peak times when the shuttle is not running.